It’s one thing to have a passion and drive to achieve private practice success. 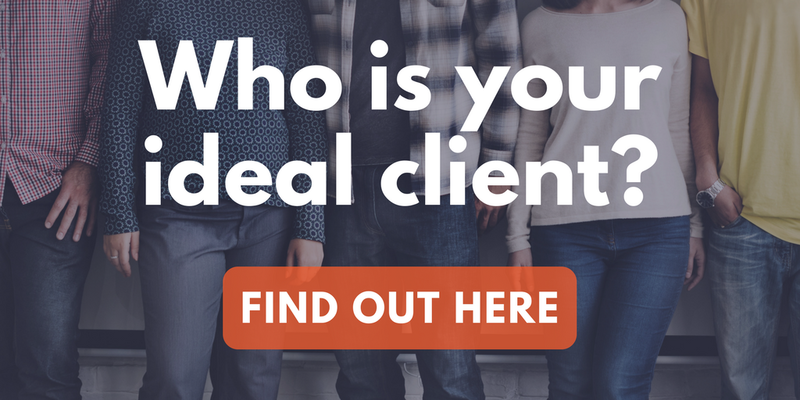 It’s a whole other ball game when it comes to actually getting clients through your door. Even if you’re not necessarily doing anything “wrong,” your practice could still struggle because the other competitors in your local area are overshadowing you. So how do you get an advantage over your neighboring clinicians? Sign-up for our free e-course on 8 Unique Marketing Tips! Last month, we released a podcast episode of the Therapist Experience about how Danielle Swimm generated a client wait list for her practice within 6 weeks of opening. The episode ended up being so popular, we wanted to take this opportunity to dive deeper into her most powerful piece of marketing advice: making yourself stand out from your local competition through referral networking. It’s still true that other therapists can be a great source of referrals for you (especially when you network with therapists whose specialties are different from yours), but if you really want to find a golden goose, you need to seek out primary care physicians in your area. Having a good relationship with your local primary care physicians can give you access to a waterfall of customer referrals, but it’s not an easy task. Physicians can be incredibly busy and difficult to nail down, and finding a way to get an appointment on the books with them – let alone during a time when they’ll have actual mental energy and patience for you – can sometimes feel impossible at first. The grind, however, is worth it. Danielle told us in our podcast episode that she had to call for weeks sometimes to get a meeting with a local physician, but the connections that she made ended up being the most valuable ones of all. You will not be a the only therapist trying their hand at local networking, so it’s important to do what you can to stand out from the crowd. A great way to make a connection right away – and get your foot in the door – is to do plenty of research about the physician ahead of time. Danielle believes a big reason her first physician agreed to meet with her is because when she first made contact, she mentioned the physician’s positive online reviews from previous patients as a reason for reaching out. This communicated to the doctor that Danielle A) did her research, and B) was particularly interested in that physician, flattering their professional ego. Not to mention, doing your research ahead of time won’t only help you make an initial connection. It’ll also help you avoid networking with physicians that may not be a good fit for you or your practice. You may remember hearing Danielle and Perry talk about “elevator pitches” on the Therapist Experience. For those who don’t know, an elevator pitch is a concise business pitch that can be given in just a few seconds – around the amount of time you would have if you ran into an important stranger in the elevator. The phrase is meant to represent the idea that you never know who you’re going to run into – or how little time they’ll have for you – so it’s important to always be prepared to market yourself. Take time to write out an elevator pitch for you as a therapist. Find the thing that makes you different from the therapist next door and focus on that. Then practice your pitch. And then practice it some more. Practice your elevator pitch until you’re muttering it in your sleep, and then you’ll be ready. While it can seem convenient that some physicians’ offices will want to arrange a time when you can come in to meet or speak to all of their staff at once, accepting this kind of appointment could hurt your efforts to make a lasting impression. Don’t get me wrong, any chance to speak with local physicians about networking is better than no chance at all, and there are definitely benefits to “batching” doctors’ offices like that. However, Danielle gave us some strong networking advice that meeting one-on-one can really help you stand out from group practices in your area. Gently insist on a 15-minute one-on-one meeting so you can put a face, personality, and an experience to your individual name, something that larger group practices and insurance referral networks can’t typically do. In fact, you should leave a whole stack of cards if you can afford it! Of course dropping a whole box of materials would be too much, but in general you should leave as many kinds of physical marketing materials as you have prepared. Do you have pamphlets for practice? Grab a handful! Do you have a flier with your headshot and contact information? Leave one of those, too! As long as you have an online presence where potential clients can learn more about you, these can be invaluable tools. As Danielle describes it, physicians have very little time with their patients so doctors love it when they can quickly grab a business card or a pamphlet (from someone they know they can trust) instead of taking precious visit time to get on the computer and start a referral search. When another care provider gives you a client referral, they have an investment in how well that referral goes. Even if you put aside their concern for how well the patient will do under your care (which is definitely something on their radar), their reputation is still on the line depending on how well your new client-therapist relationship goes. A great way to put minds at ease and to keep a referral relationship strong is by getting a release of information from the client for the care giver who referred you. That way you can keep in touch as the referral client’s care progresses, establishing both your reliability and your capability as a therapist. One of the best pieces of advice that Danielle gave us during her podcast episode was to never stop learning. Every day, Danielle is listening to podcasts, reading books by successful clinicians, or keeping up to date on leading industry blogs (like Brighter Vision’s blog!). By pushing her skills forward with daily training and self-discipline, Danielle has ensured that she will never lose her edge. Even the most modern and advanced advice that you can find about therapist marketing right now will be obsolete again in a handful of years. It’s essential to keep learning and evolving in real-time with the rest of your industry, or prepare to get left behind. You will be amazed at how your practice grows simply by using these tips to create personal, powerful networking connections in your local area; maintain and strengthen those working relationships; and always learning new skills in order to keep you at the front of the therapist pack. Of course, the powerhouse of any modern therapist marketing is your website. If you aren’t sending your potential clients to the right kind of practice website, they may not be potential clients much longer. Don’t take a risk – know for certain that your clients are seeing your best self and become a Brighter Vision customer today. We’ll build you the most beautiful practice website you’ve ever had, at a price you won’t believe.